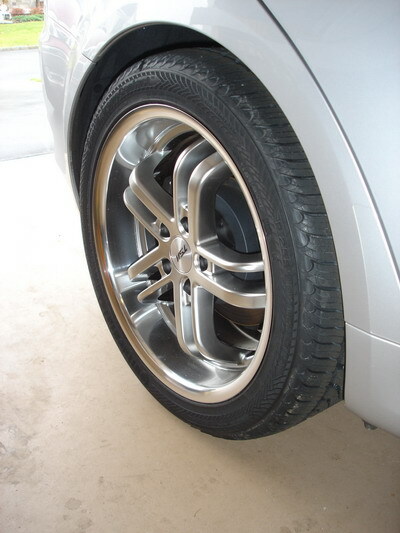 It is possible.. look at my wheel fitment. Cool, what size tires are on those rims? Got a link to a posting with pics? Very nice. Mind if I post them here in this thread? (edit) no response, so here they are! Last edited by IS-F-I-Found; 11-01-2006 at 10:34 PM. That car is the definition of F-I-N-E!!!!!!!!!!!! Simple and elegant. I like. I really wanted 19s, but could not find decent all season or winter tires to fit the 19s. I had to go with 18s. 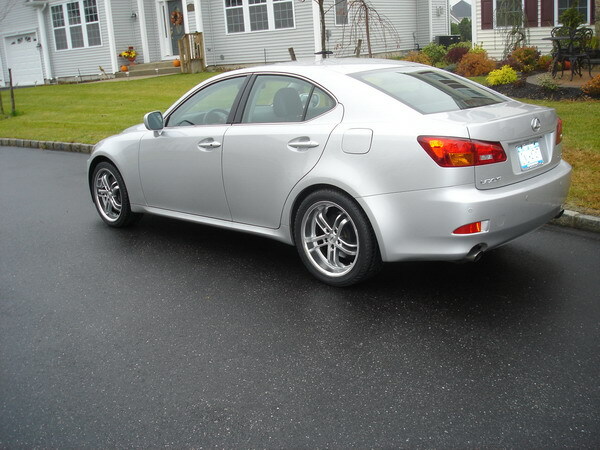 Next mod is Coilovers, get the wheels nice and close. After winter though... I am in the northeast. Last edited by 350lex; 11-14-2006 at 07:01 PM. Those tires look great for winter. Where did you get that setup from? How much did it run ya, if ya don't mind my asking. Also, you're not selling your stock rims by any chance are ya? I got LMS custom springs installed yesterday on the IS350. 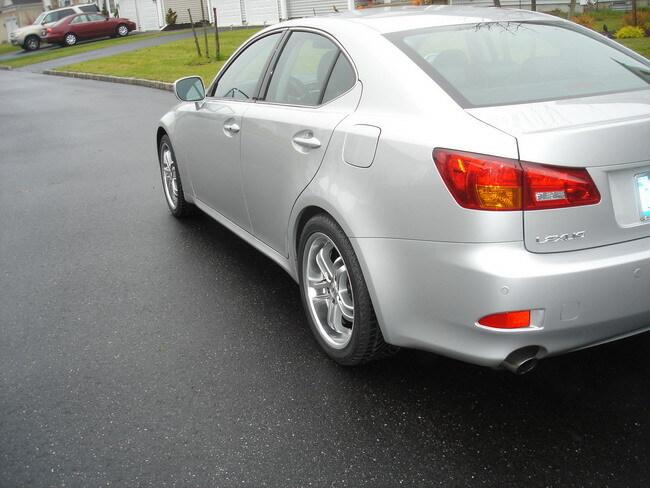 I was looking for a slightly lower and more even drop than the Eibach's provide. Steering and handling feel a lot better than stock. No rubbing, scraping or bottoming out. It feels close to stock without being harsh. This is definitely a good alternative for those who are looking for a drop but don't want or can't afford coilovers. Here are some pics the day after install. Same pics as I posted on CL. Nice... how much is the drop? I assume you had a non-sportpackage 350. The drop is about 1.25" on the front and a little bit more than 1" on the rear. 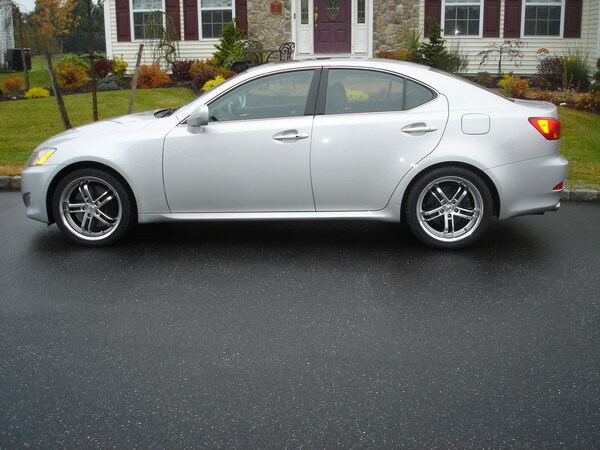 The car is an 07 IS350 with premium package. From what I understand, the drop on the sport package is not as much as this. No offense, but not a big fan of those wheels, the design makes the rims look a lot smaller than actual size, 'cause the end of the spokes are curled in. I love huge lips but don't want to sacrafice the cleanness for deep lips either. 18" JDM Imperi Genesis 3-piece wheels, UGO CF roof spoiler, Wald front lip, C-West side skirts, Vizage CF eyelids, Tein S-Tech Springs, Nakayama Exhaust, Custom painted Z-Edition Altezza grill. VERY nice +rep for the pics! FYI, I moved your thread to the modifications thread already started.